Home Traveling Why Should You Visit Puerto Del Carmen? 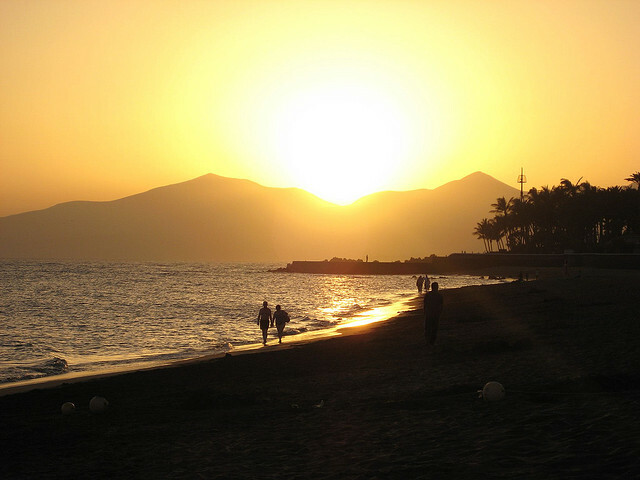 Why Should You Visit Puerto Del Carmen? The resort of Puerto del Carmen, Lanzarote attracts many visitors and these are the reasons why. In the Canary Islands, Lanzarote is certainly a destination with a great deal to offer its residents, as well as those on holiday and other keen visitors. The island has all the necessities you would associate with a typical holiday in the sun but there is so much more beyond that to discover and enjoy. There are many separate areas of Lanzarote and each one has its own distinctive features and charm, from the capital of Arrecife and the main resorts like Costa Teguise, to the traditional villages such as Arrieta in the north. The prime location for a lot of people who are spending their holiday in Lanzarote is Puerto del Carmen in the south of the island and there are a number of attractions to this area. When it comes to the nightlife attractions in Lanzarote it is definitely fair to say that Puerto del Carmen has the advantage over the other resorts. Lanzarote may not be able to rival the fellow Canary Isalnd of Tenerife in this way but there is certainly plenty of variation on offer. The busiest area to go to in Puerto del Carmen is the main square which can be found literally just over the road from the long stretch of beach that runs across the south of Lanzarote. If this is the kind of entertainment you are looking for then it may be best to save this for the last place you go to at night. Although the vast majority of Lanzarote will give you the most authentic slices of Canarian life there is a different kind of feel to Puerto del Carmen. It is a destination that is particularly popular with a lot of British and Irish tourists and there are many establishments to enjoy. In terms of Irish bars and pubs there are so many choose to from as you walk along the south of the resort and the same can certainly be said for the traditional English pubs. There are also so many restaurants available, ranging from Indian and Chinese, to Canarian cuisine. Lanzarote boasts some magnificent beaches all over the island, although there can be slightly stronger winds to deal with in the north of the island. The main beach in Puerto del Carmen stretches out far and wide and the wind in the whole of the resort is much calmer, meaning that you can enjoy your sunbathing all the more. There are also a lot of hotels and apartments in convenient locations to be found. Stephen Watson comes from Lancashire originally but moved to Lanzarote over ten years ago. He has lived in Puerto del Carmen for the last five years after previously residing in nearby Matagorda and he found his property with http://liveinlanzarote.com/.